London Overground Rail Operations Ltd (LOROL) was selected in November 2007 by Transport for London (TfL) to run trains and 35 stations in and across the capital. As a newly established company LOROL needed a new phone solution implemented quickly and cost effectively in its new headquarters in Swiss Cottage, North London with a view to install further systems at a depot in Willesden and other offices in Camden and its 35 other stations. LOROL has over 100 staff at their main offices in North London. Communicating on the phone to other departments as well as third parties and suppliers such as Network Rail and Tfl is a major aspect of the work. They required a scalable, cost effective communications solution that should seamlessly interoperate with other departments’ current and future solutions. Furthermore, due to requirements from the rail industry, LOROL required a call recording facility that automatically recorded all calls at the Control Centre. So if any incidents were to occur, LOROL could easily review, store and share any calls that were made on any particular date. Most importantly however, the rail firm needed the solution to be installed as quickly as possible. LOROL spoke to selected telecoms providers to ascertain the time and cost that was needed. 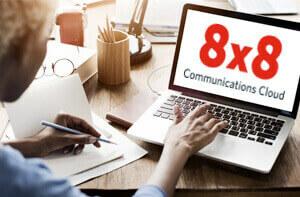 LOROL quickly decided to go with 8x8 Solutions’ fully hosted VoIP solution VNcomplete. This is an all in-one pure VoIP package which is priced per-user, per-month over the entire contract. 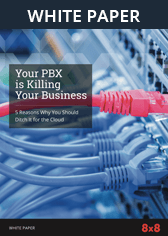 Firstly, it was felt that the option of a PBX was cost prohibitive. A quote given to LOROL by another telecoms company compared with the 8x8 Solutions quote was a “significant amount”. Secondly, the installation time was a major factor in making the final decision. Again the other large telecom companies could not compete on this aspect offering more complex installation procedures and taking a much longer period over it. With 8x8 Solutions the start to finish time was a more rapid 6 weeks. Thirdly, LOROL was impressed by the level of technology and the array of features available, as standard. Employees were given the ability to be more flexible with remote working either within the office (hot desking) or at home, whilst still taking calls on their office system. LOROL now has over 100 Cisco phones and a fully operational Hosted VoIP telephone solution installed in their headquarters. Due to the nature of Hosted VoIP more phones can be added as the company expands, and new features can be added when they are required or become available. 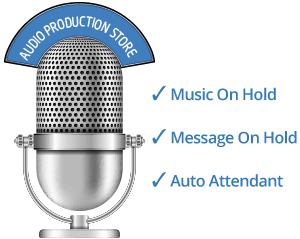 Call Recording, Web Portal and control over where the user can listen to his voicemail were all features highlighted of great benefit. London Overground Rail Operations Ltd.